Published in 1996 by the Evangelical Lutheran Synod. 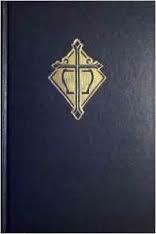 Contains over 600 hymns. Black hardcover, size 6 X 9.